Twelve-time French Dakar Rally winner Stéphane Peterhansel is not one to leave much room when he’s trying to get around slower traffic. 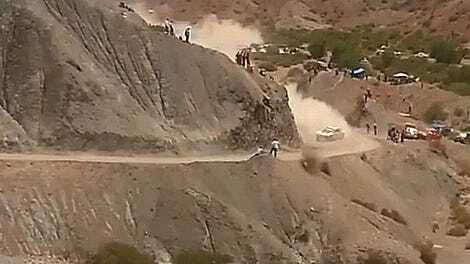 Uruguayan quad rider Diego Lucio was visibly unimpressed by the little room Peterhansel left him when coming on through during Stage 4 of this year’s Dakar Rally, having to turn away to avoid a collision with Peterhansel’s Peugeot 3008DKR as it passed. So, congratulations, Lucio: you get to continue.